The Internet has been busy freaking over the surprise drop of Beyoncé’s fifth studio album at midnight, and celebrities were right in the mix. From Queen Bey’s sister, Solange Knowles, to Glee‘s Kevin McHale and even Katy Perry, stars were tweeting the praises of her latest effort, which features 14 new songs — including one that features daughter Blue Ivy — and 17 new videos. she’s still continuing on as Rachel Berry on Glee, but 2014 will show the world a whole new side of Lea that we haven’t seen before—pop singer. Coast 2 Coast Mixtapes Presents Chrisette Michele’s New Mixtape: Audrey Hepburn: An Audiovisual Presentation featuring all new unreleased material from Chrisette Michele as a dedication to the artistic vision inspired by Audrey Hepburn and the #RichHipster movement! 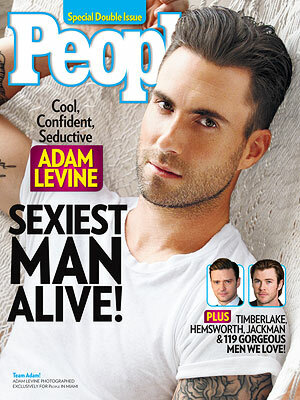 He may be battling to be the winning coach on NBC’s hit series The Voice but Adam Levine has this year’s Sexiest Man Alive crown in the bag.